CLEVELAND (July 8, 2016) – Neighborhood kids and families are invited to drop-in at the Cudell or Collinwood Recreation Center from Monday, July 18 through Friday, July 22 for a series of fun activities, programs and demonstrations presented by Great Lakes Science Center. The free programs will run from 1-4 p.m. on Monday, Wednesday, Thursday and Friday. On Tuesday, July 19, admission to the Science Center will be free courtesy of Microsoft and the City of Cleveland will provide limited transportation from both rec centers to bring people downtown to the Science Center. The programs will be the same at both rec centers each day and will be spread out between the community room, the computer lab and, weather permitting, outdoors as well. “This partnership between the City of Cleveland and Great Lakes Science Center is a great opportunity to bring the Maker Movement to the Cudell and Collinwood Recreation Centers while providing city youth an opportunity to engage in hands-on learning,” said Tracey Nichols, the City of Cleveland’s Economic Development Director. 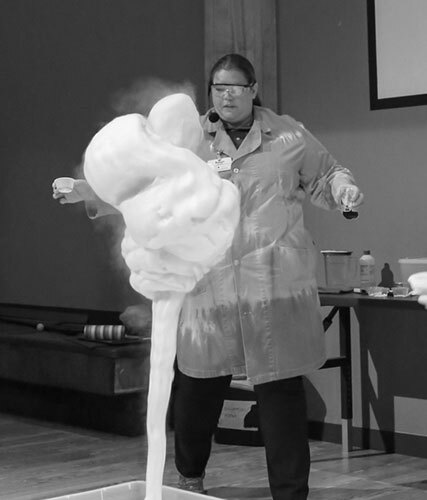 Monday, July 18 will be a blast when the Science Center staff helps kids explore the forces necessary to propel a rocket into space and the physics behind flying. Activities include Alka-Seltzer rockets, making a cardboard glider, a fizzy soda demonstration and the chance for guests to make their own keychain on a 3-D printer. Tuesday, July 19 will be the field trip downtown to the Science Center. Limited free transportation from both rec centers will be available and admission to the Science Center is free for all guests. The theme on Wednesday, July 20 is “Celebrate!” In honor of the Science Center’s 20th anniversary, guests will enjoy free cake while supplies last (donated by the City’s Department of Economic Development). Guests can also sample liquid nitrogen ice cream, watch a cryogenic demonstration, make a vinegar and baking soda balloon, and learn the basics of computer coding. Energy is the theme of the day on Thursday, July 21. Guests will learn about solar power, circuits and electricity as they test the power of the sun using ultra-violet beads, make a “squishy” circuit, bake S’mores in their own solar oven, and use the “Makey-Makey” system to become a programmer. 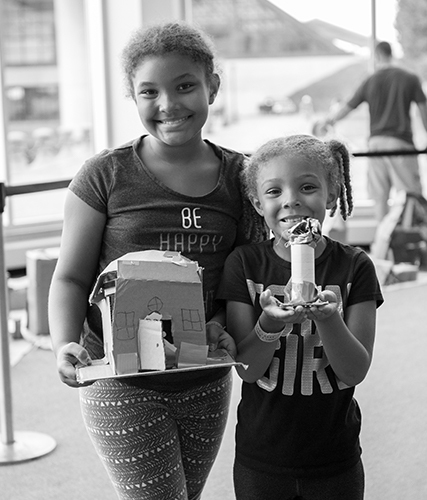 Guests will “engineer” their own fun on Friday, July 22 as they create and test structures and waterways out of everyday materials including straws, Popsicle sticks and wooden skewers, and learn to program using Arduinos. The Science Center has resumed its summer operating schedule and is open seven days a week through Labor Day weekend -- Monday through Saturday 10 a.m. to 5 p.m. and noon to 5 p.m. on Sundays. Please note the Science Center will be closed to the public on July 17 and July 20. Great Lakes Science Center, home of the NASA Glenn Visitor Center, makes science, technology, engineering and math (STEM) come alive for more than 300,000 visitors a year through hundreds of hands-on exhibits, traveling exhibitions, OMNIMAX® Theater, Steamship William G. Mather, daily science demonstrations, seasonal camps, family workshops and more. Discounted parking is available for guests in the attached 500-car garage. 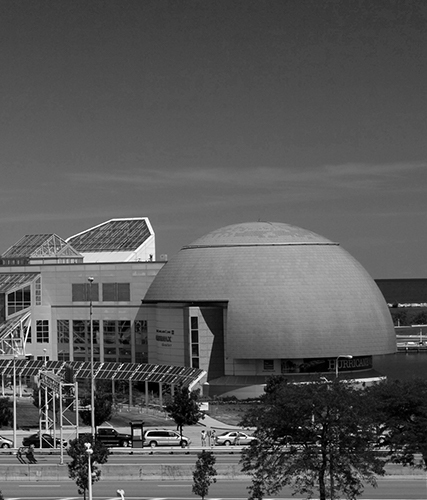 Great Lakes Science Center is funded in part by the citizens of Cuyahoga County through Cuyahoga Arts and Culture. Visit GreatScience.com for more information.